Bob Dockerty is a Principal in Dockerty Romer & Co. where he structures debt and equity as well as handling investment sales of institutional real estate. 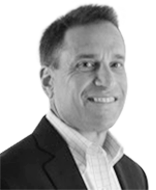 Bob and his partner Craig Romer formed Dockerty Romer & Co. in 2000. Prior to forming the firm, Bob was a founding partner in 1982 at Holliday Fenoglio Dockerty & Gibson for 18 years and later became Executive Managing Director of HFF and co-head of the entire Florida operation. Bob is 1981 graduate of The University of Texas where he received a B.B.A in Finance and Real Estate. Craig Romer is a Principal in Dockerty Romer & Co. where he structures debt and equity for his clients, through a very hands on approach to each transaction he works. Craig and his partner, Bob Dockerty, formed Dockerty Romer & Co. in January 2000. 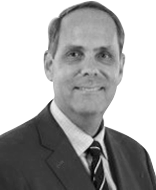 Prior to forming the firm Craig spent 15 years with HFF as Executive Managing Director and co-head of the entire Florida operation. Craig is a 1984 graduate from The University of Texas where he earned a B.B.A in Finance and Real Estate. 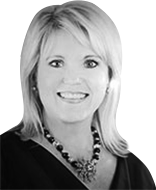 Nancy joined Dockerty Romer & Co. in 2000 with primary responsibilities of managing the day to day operations, handling underwriting and loan closings as well as coordinating the servicing of loans and annual property inspections. 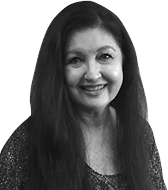 In addition, Nancy is a member of the origination team assisting clients in all aspects of their real estate capitalization needs including debt and equity. Nancy serves on several civic and non-profit boards and is very active in the local community. Nancy has a B.A. from Purdue University. Chris Romer is a Director at Dockerty Romer & Co. where he structures debt and equity for his clients by focusing on their needs and taking a very hands-on approach. 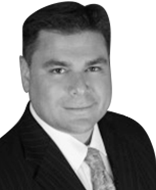 Chris manages all aspects of the debt and equity process from initial underwriting to servicing where necessary. Prior to joining Dockerty Romer & Co. in 2015, Chris spent 17 years with GE in their Healthcare Division acting as a single point of contact for a national healthcare chain. Chris is a 1998 graduate from the University of Louisville where he earned a B.A. in Finance. Emily joined Dockerty Romer & Co. in 2000 and works as the receptionist and administrative assistant where she handles all of the general office duties, and assists the production team. Emily comes to us with a great deal of administrative experience and is a licensed real estate salesperson. Copyright Dockerty Romer & Co.